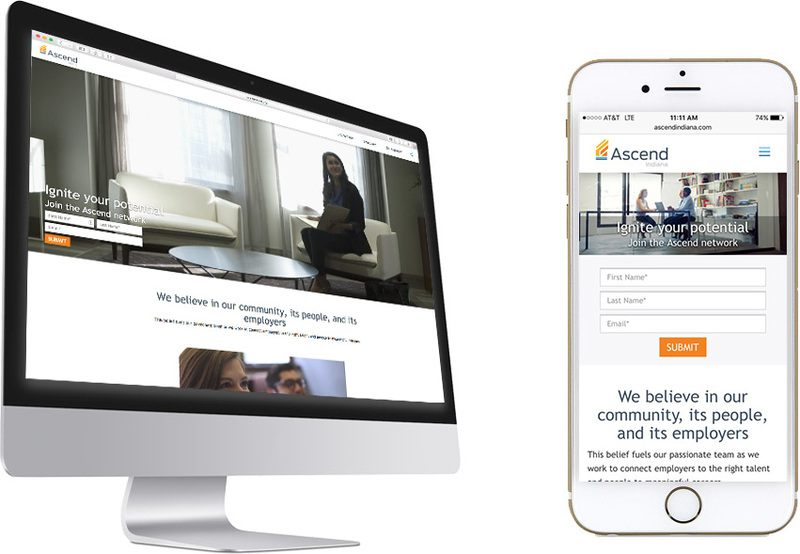 After helping Indiana Workforce Development name and brand Ascend Indiana, INNOVATIVE worked with the Ascend team to design and develop the website that would launch that brand to the their audiences. Ascend is a brand new initiative, so our job was to develop a website that was engaging, inviting and unique - and to do that before the initiative had fully begun work on its objectives. The process was extremely collaborative with weekly working meetings between INNOVATIVE and Ascend. This provided constant communication that allowed us to fluidly build Ascend a website that they would love and be proud of as their own internal work objectives became more clear. The initiative and website were launched at a public press event and the site has garnered much public praise in its early life in the public eye. As mentioned above, Ascend came to us to help them name and brand Ascend Indiana. Ascend is the Central Indiana Corporate Partnership's (CICP) newest initiative.